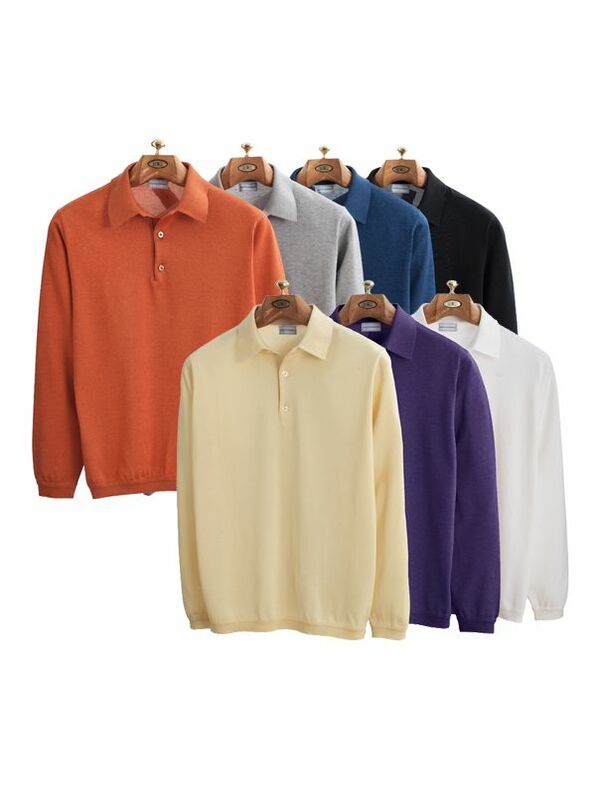 'Clark' Long-Sleeve Polos are the perfect synthesis of sweater and shirt - they have the flexible comfort of cotton knit with the "dress-up or dress-down" versatility of a shirt collar and long sleeves. Knitted in America of 75% cotton with 25% microfiber for resilience long wear and washability. With softly banded waist for wear in or out.